I have taught linocut workshops around the UK and in Ireland and Italy. I also run letterpress courses. If you are interested in attending or hosting a workshop, please contact me. Scroll down this page for my upcoming linocut workshops at all venues. I set up Hello Print Studio in 2013. It is a printmaking studio in Margate where I run regular workshops in linocut, letterpress and screenprinting. Visit the Hello Print Studio website for more information. 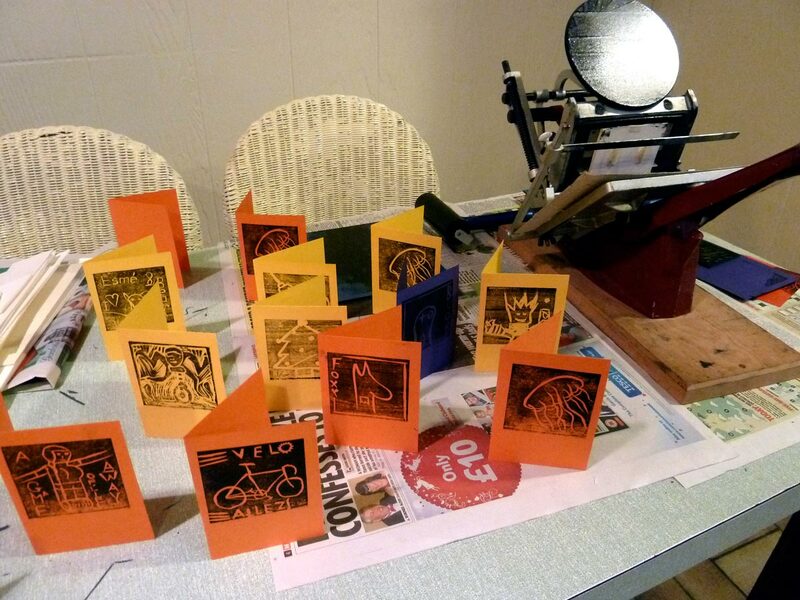 In this weekend workshop you will learn how to design, carve and print multi-block linocuts in colour. 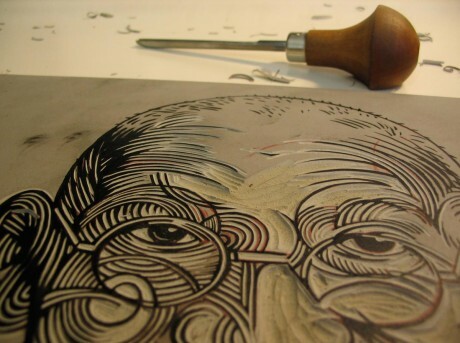 You will learn what tools to use and how to keep them sharp, how to plan, carve and print a multi-block linocut and how to register the different layers. Through a series of exercises you will learn how to mix and control colour and how to work with transparent layers to create more colours. In this special five day workshop you will design a simple book on the theme “The Ideal City” using linocut for the illustration and letterpress for the text. 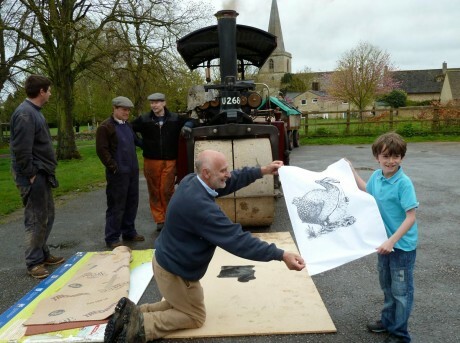 The linocut illustration part will be led by Nick and then Umberto will follow with the typography, editioning and binding. 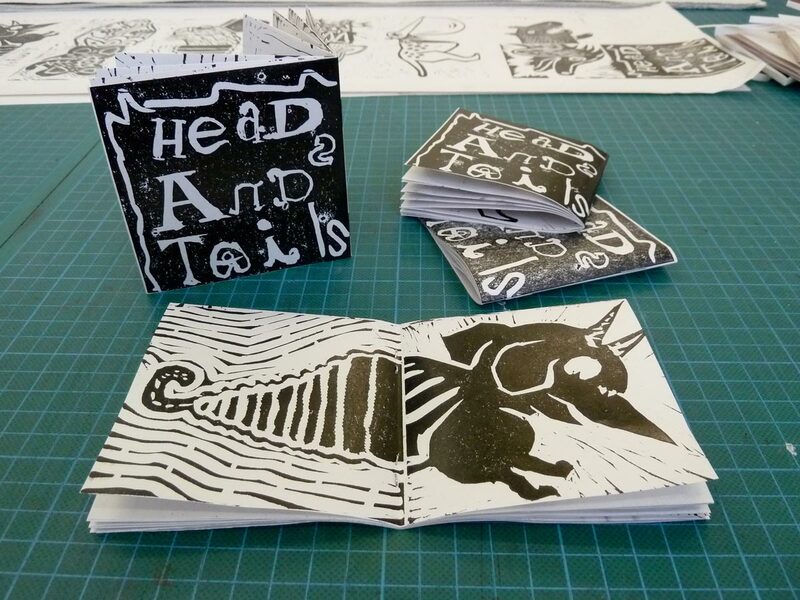 Each participant will complete an artist book printed in a small edition. This workshop was created to accompany the UNESCO Creative Cities meeting held in Fabriano. 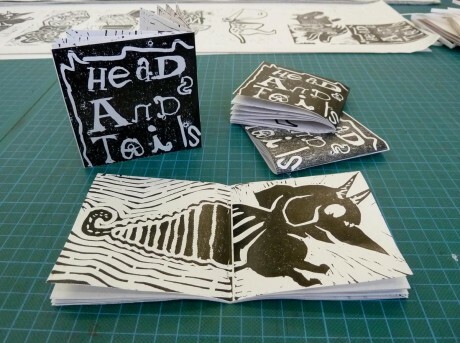 In this one day introductory workshop you will learn how to design, carve and print a linocut in black and white. You will learn what tools to use and how to keep them sharp, how to plan a design, carve and print a block by hand using a spoon and a screw press.